Floola is a freeware application to manage your iPod or your Motorola mobile phone. It works on any model supporting iTunes. Floola can be run directly from your iPod and the good thing is it requires no installation. Floola supports almost all features offered by iPods including photos, artwork, podcasts and smart playlists. It automatically converts any incompatible audio or video file so that you can copy almost any file to it. It allows adding YouTube and MySpace videos with a single click. Now it even makes it possible to keep your Google calendars synched. The speed and ease of use of Floola are what impress the most. Copying, adding and extracting songs to and from an iPod is extremely easy. 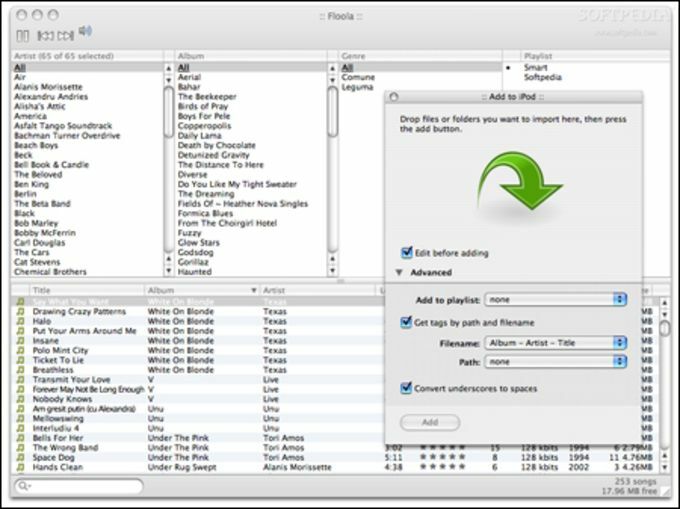 You can easily manage, import and export (m3u, pls) playlists and it's also integrated with Last.fm. Adding videos is also extremely easy - just copy the URL into Floola and it will automatically copy them across. 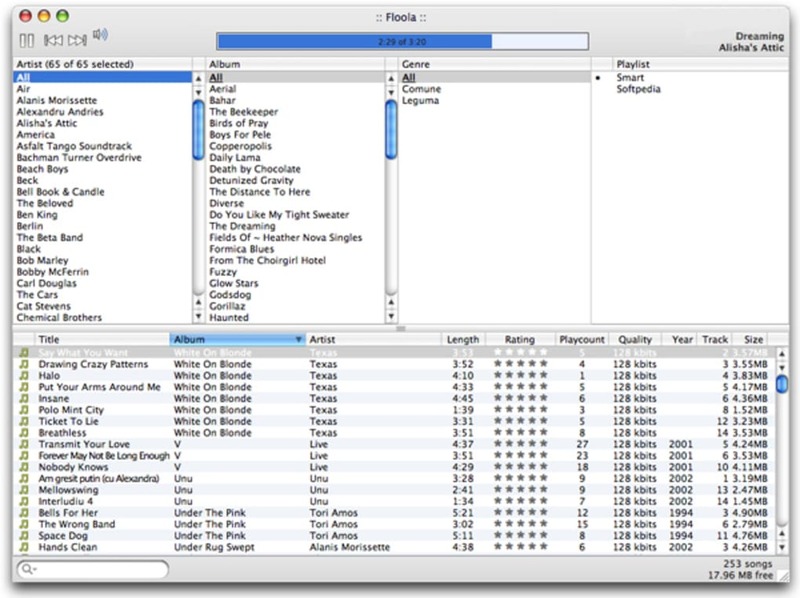 There are many more impressive features to Floola that make it a truly excellent application for managing your iPod from your Mac.